Ionactive is an established provider of Radiation Protection Adviser (RPA) and Radioactive Waste Adviser (RWA) services for all users of ionising radiation. Since 2002 we have provided radiation protection advice to industry, commerce, security, medical, emergency services, museums, universities, and schools. We also run regular Radiation Protection Supervisor (RPS) training courses in the UK, and Radiation Protection Officer (RPO) courses overseas. Our services cover sealed and unsealed radioactive material - from HASS sources used in industrial irradiation, to low activity environmental tracers. We cover all types of radiation generator – from small x-ray sets used in security, to the largest accelerators used in medicine and industry (linear accelerators, cyclotrons, dynamitrons and tandem generators). Visit our resource hub for radiation safety articles, guidance, curated links, and news. 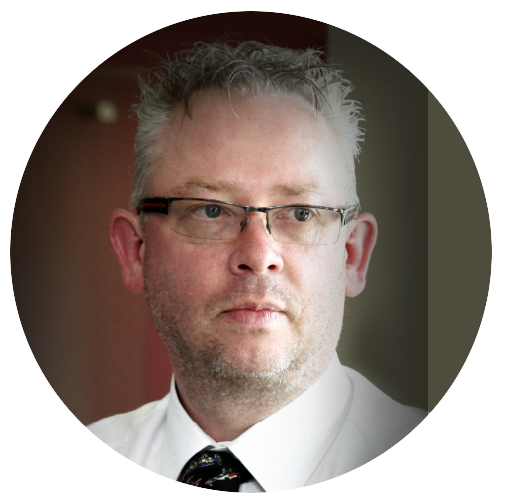 Mark started Ionactive Consulting as a hobby in 2002 which has now grown to be a significant RPA service provider in the radiation protection industry. He is currently RPA for a significant number of organisations spanning all areas of industry, service providers and research in the UK and beyond. His varied experience in the nuclear and non-nuclear industry together with an interest in novel training techniques are particularly strong assets. He aims to deliver a quality radiation protection adviser and RPS training service, whilst maintaining and continuously improving the free Ionactive resource hub. I was delighted that we achieved a satisfactory demonstration of our reactor emergency arrangements. The scenario was realistic, but testing. The quality of the exercise documentation produced by Ionactive was as usual first class. Radon Gas - a surprise! I work only with security x-ray systems but found the radioactive bits of the course interesting too. I will be talking to my colleagues about Radon Gas when next discussing our workplace risks! Many thanks for an interesting two-day radiation course. Whilst physics and maths is not my thing, I found the material easy to digest and surprisingly enjoyable! Sincere thanks, Mark, for the energy, enthusiasm, and, excellent, training, given to my site teams, for two very different decommissioning projects. The assistance and guidance, provided, through RA requirements, and your pragmatic RPA technical support, for both challenging projects – fume filter plant decommissioning and overall site decontamination, was central to the complete success achieved, against reasonable expectations.